Panasonic is headed for a $10.24 billion loss this year (in the 12 months to March 31st) and is engaging on a significant restructuring of its giant electronics businesses. A year ago it managed a $6.2 billion loss, described then as being the worst-ever, has been exacerbated this year by the problems caused by the Japanese earthquake and tsunami. 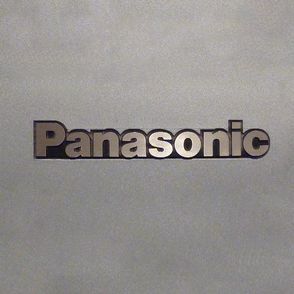 However, the Panasonic profit warning (issued February 3rd) accompanied Q3 losses themselves not helped because of absorbed losses from its acquisition of Sanyo Electric. Previous guidance was for a loss around the same as last year. The accumulated losses from Japan’s Sony, Panasonic and Sharp now approach a staggering $17 billion for this trading year. Panasonic is already committed to losing 17,000 jobs by the end of March, and these losses affect all aspects of the company both domestically and internationally. While changes are afoot, Panasonic shows no sign of quitting its TV business. Speaking to reporters on Friday, Panasonic President Fumio Ohtsubo said: “I don’t think it’s a business that has lost its growth potential,” he said, adding that Panasonic wanted to “develop TV in a different manner” by exploring growth in sales to businesses rather than direct to consumers. Quite what this means is yet to be shown.